Is the Origin of Hummus Middle Eastern or Greek? Is Hummus Greek or Middle Eastern? The debate over the origin of hummus is old -- probably as old as hummus itself. The Greeks like to claim it as their own, but the Arabs are equally adamant in their claims. Even the Israeli's claim it, but we'll get to that later. So, who is right? The honest truth is that no one really knows for sure. That being said, though, based on historical information, hummus likely originated from ancient Egypt. According to several historical sources, the earliest mention of hummus dates back to Egypt in the 13th century. Chickpeas were and are abundant in the Middle East and are still commonly eaten. In fact, the word hummus means chickpea in Arabic. Historical documents show a dish, very similar to the hummus we eat today, being consumed in Cairo in the 13th century. But that doesn't stop other areas from continuing to claim hummus as their own. The Greeks and Egyptians were trade partners for centuries which may explain with many of the foods in Greek and Arab cuisine are similar, if not identical. Stuffed grape leaves are an excellent example of a dish that is popular in both cultures. The dessert, baklava, is another "Greek" favorite but also made in the Middle East. You can see that many foods "crossed over" during historical periods, especially during the height of the Ottoman Empire. 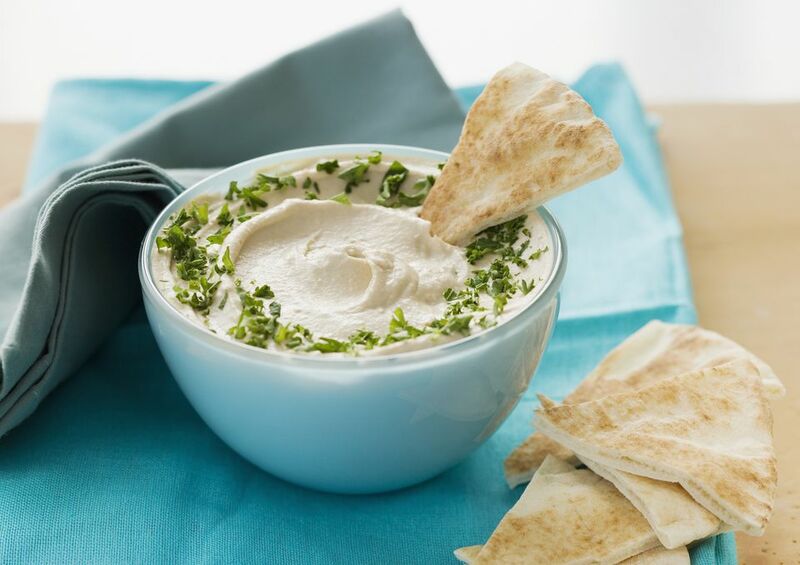 Regardless of where it's originally from, hummus is a delicious dip and spread that's enjoyed by all cultures, not just Greek and Middle Eastern. You can now find in just about every western supermarket and many mainstream restaurants. so it's become a great example of a "crossover" food, so much so that some people find it so common now that they don't even realize its roots.